One of the earliest things I did when I got my Wii was to go and put an SD card in it to expand the memory. At the time, it was a pretty big card, with 2GB on it. Times have changed, of course, and not only does the Wii U have an SD card slot, it also comes with internal memory (32GB in my case) and the ability to add an external USB hard drive. I recently picked up this 1TB external hard drive for use with the Wii U. 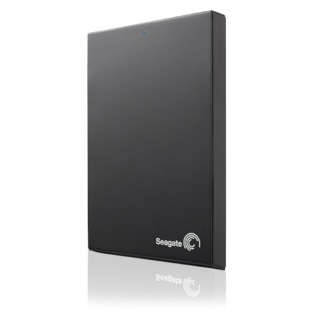 It's a small form factor portable drive, the Seagate Expansion drive, for about $90 CDN before tax. My main criteria was that it be bus powered, because I don't want to either have to remember to switch it on and off, or to have to reach in behind the Wii U to do so. Call me lazy, but I just want to turn it on from the couch with the Gamepad. As an added bonus, it's black to match. My only concern now is that it is only a 5400 rpm drive, but hopefully it's adequate for games. Given that the Wii U is only using a USB 2.0 connection, it should be fine. We'll have to see. Nintendo's decision not to incorporate an internal drive is making me do some legwork to figure out what a good drive would be, and I don't mind. After all, it gives me something to tell you about! Posted on November 11, 2012 by Eugene Huo and filed under Countdown and tagged WiiU expansion hard drive.